Before your move, it's important to buy all the boxes, tools and packing material you'll need. Make sure to purchase more than you think you'll use to avoid running out on moving day. Create a toolbox of things that you'll be using to help you move. This should include sticky tape, plastic bags and anything else you think you might use. This box should be the last one you close and seal once you're ready to leave your old house. 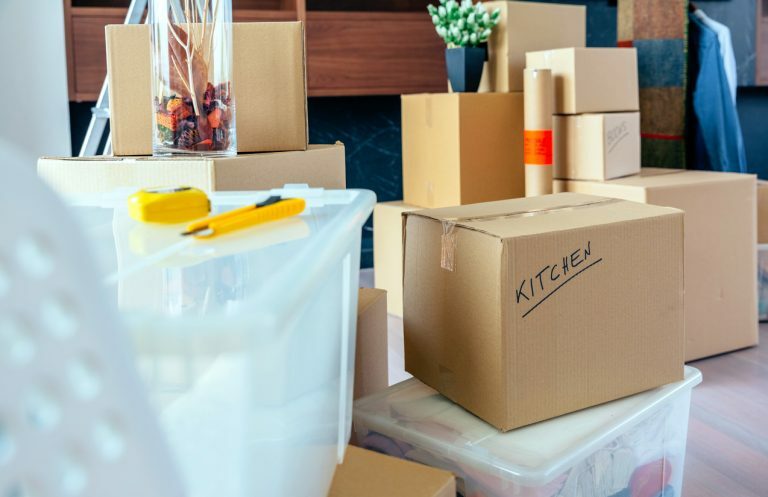 Also, create a clearly labeled box for priority items—small appliances, tableware and medicine—which may be used on move-out day and which will need to be accessed quickly when you reach your new home. Garbage can be difficult to deal with when leaving. It's best to prepare methods ahead of time to deal with trash, such as organizing enough garbage bags and space allocated to keep it. Reducing the amount of unnecessary items you have before your move can help to minimize this problem. Perishable items like food should be eaten or disposed of before moving out, and borrowed or rented items returned. Start by packing the belongings you use least, such as those in storage. Pack room by room while labeling the boxes according to their contents and the room they came from. Keep the boxes in separate groups so they're unpacked together. You can save space by packing smaller items into containers you already own, such as baskets and suitcases. However, don't fill cupboards and other pieces of furniture as they likely aren't secure and can be damaged. Delicate items such as art pieces should be wrapped in plastic sheeting, covered with bubble wrap and placed in a closely fitting cardboard box. Wrapping plastic sheets around furniture and other belongings can also protect them from dirt, dust and moisture during the move. Fragile boxes should be marked and filled with protective packing so that the items can't move within the box. Very delicate or important personal belongings should be taken with you in a personal bag or stored safely in your vehicle. Pack an individual bag for each family member. Be sure to include essentials such as toiletries, personal items and a change of clothes, which can help keep you organized and comfortable when you spend the first night at your new house. Take apart any furniture that can be dismantled to save space and make packing easier. Screws or other equipment from the furniture can be kept in a clear plastic bag and taped to the furniture or kept securely. Boxes with books in them can get quite heavy. Remember not to over-pack them, and consider filling up remaining space with lighter items like linens. Packing lighter items in large boxes and heavier items in smaller boxes can help to keep weight consistent. Heavier items should be packed into boxes first. These heavier boxes should also be packed first into your moving truck, closest to the ground. Gas cylinders should be emptied and have their valves left open. Any flammable liquids such as paint thinners and other chemicals should be used or disposed of before your move, as they can be dangerous to transport. With the right preparation and some helpful tips, your move-out day will be a stress-free experience. Which tips will you use? Let us know in the comments below!